NVIDIA has just released a new set of graphics drivers for all GeForce and Quadro graphics cards. For gaming GPUs (GeForce), R361.91 brings optimizations for the following titles: ARMA 3, Street Fighter V, Monster Hunter Online, and HITMAN (Beta). More information about R361.91 for GeForce can be found HERE. R361.91 is an OpenGL 4.5 driver and exposes the same OpenGL extensions than R361.43 for a GTX 960 on Win10 64-bit. 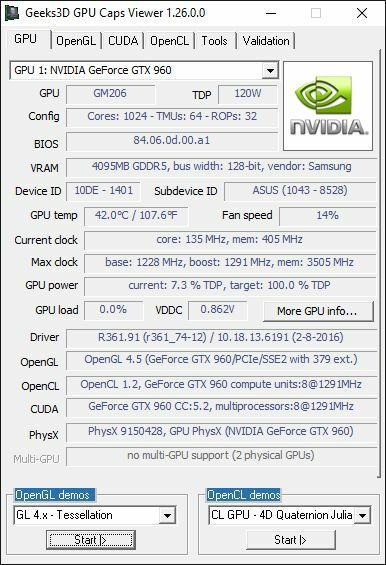 Nvidia GeForce 364.47 WHQL driver with Vulkan API support.